February – 2016 – dBase, LLC. Introducing moveSQL™ from Legendary Database Management Provider, dBase, LLC! 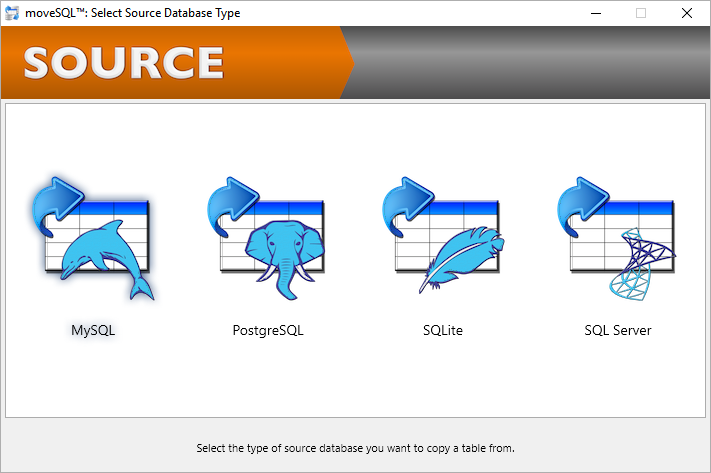 The new moveSQL™ tool is the Easiest Way to Move DATA Between SQL Databases! BINGHAMTON, N.Y. – Feb. 9, 2016 – PRLog — BINGHAMTON, NY — February 9, 2016— dBase, LLC (http://www.dbase.com) today introduced moveSQL™, a high-end SQL Database utility for moving table data from one database to another database in three easy steps. moveSQL™ is the first SQL-based utility from dBase LLC., the makers of the legendary dBASE database application development environment. While it only takes three (3) simple steps to move table data around databases, moveSQL™ takes care of all of the low-level field compatibilities in a secure and optimized fashion. dBase, LLC is changing the way people utilize data. The company’s business intelligence products and data management tools quickly transform raw data into useful information, enabling organizations of any size to make more informed business decisions and be more productive. The company’s flagship product, dBASE, was the world’s first widely used relational database management system and is still used by millions of software developers and others worldwide. For more information about dBase, LLC and its data management products, visit http://www.dbase.com. We are open from 9:00 AM to 5:00 PM East Coast time in the US Monday through Friday.